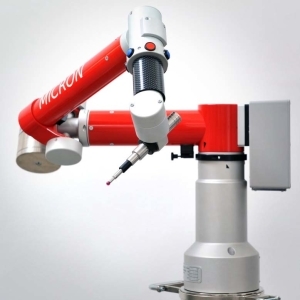 MICRON is a new concept portable articulated arm CMM, designed to get the best accuracy performance with the best part access thanks to its unique 5 axes design. It’s a portable CMM dedicated for precise part inspection, in quality control or any other process where a touch probe control is necessary. 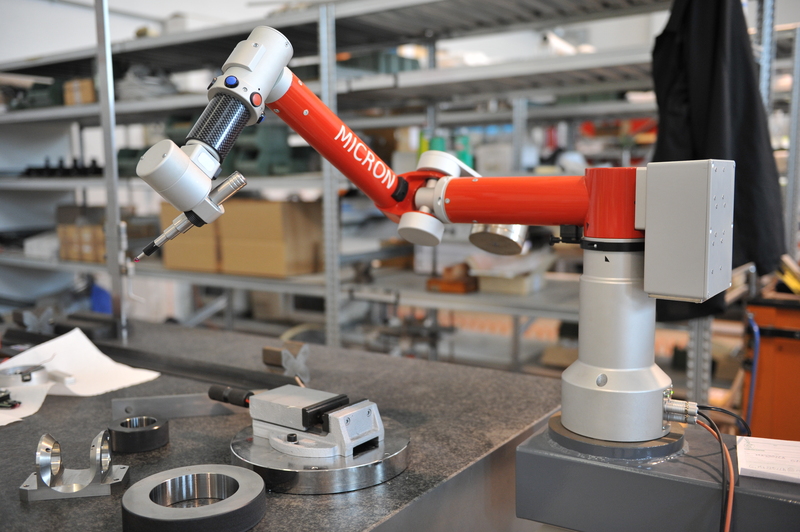 MICRON is an arm light-weight and easy handling, the counter-balance makes the movement of the axis extremely smooth. The operator holds the probe and guide the arm supporting only 15grams weight. It’s the perfect equipment for touch probe inspection when easy of use and high precision is necessary quickly and within a hand’s reach. The particular design of the arms allows access to the measurement of the workpiece around its outline, like no other CMMs can do! 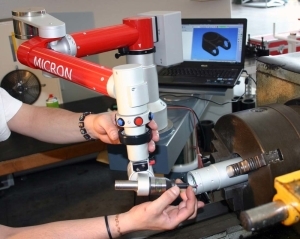 The MICRON arms are designed to be fixed on a tripod with wheels that is adjustable in height and has a shelf that enables measurement of the part within, for example, the machine tool. 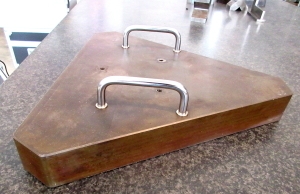 They can be also fixed on other support equipment, including granite table. They come equipped with a measurement program that allows you to perform all geometric measures, quickly and accurately and providing finally the report of the results. MICRON arms have also an automatic temperature compensation for the arm and for the measured part. This stable and practical tripod is the ideal accessory to move easily and quickly the MICRON arm. The control wheel at the base allows you to quickly switch the from measurement position to mobile position, and viceversa in a gradual way without shocks. 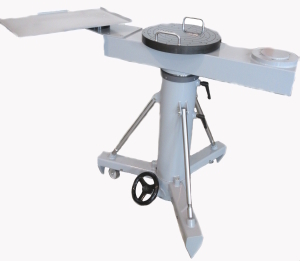 The tripod is adjustable in height and the weight of the tripod column is balanced by a gas spring, a side handle allows for vertical and horizontal movement of the tripod. The removable lateral shelf allows positioning of the laptop next to the measuring arm. 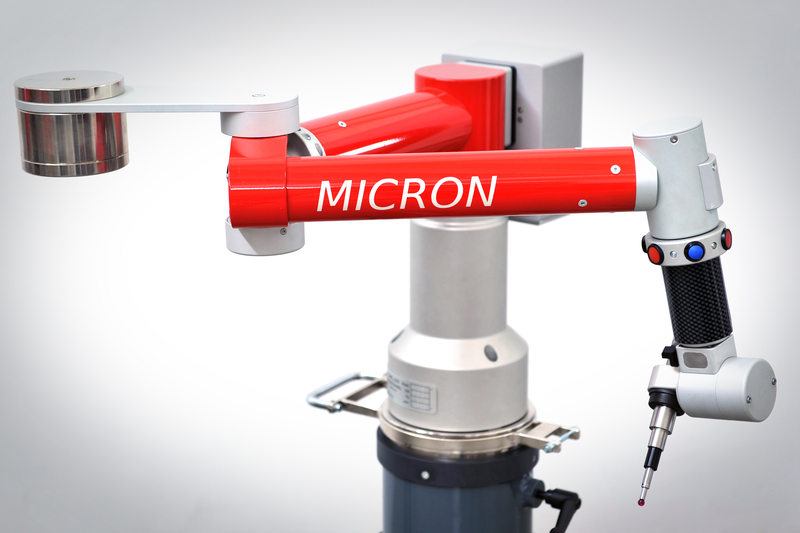 MICRON arms are available in two size: 250 and 400. 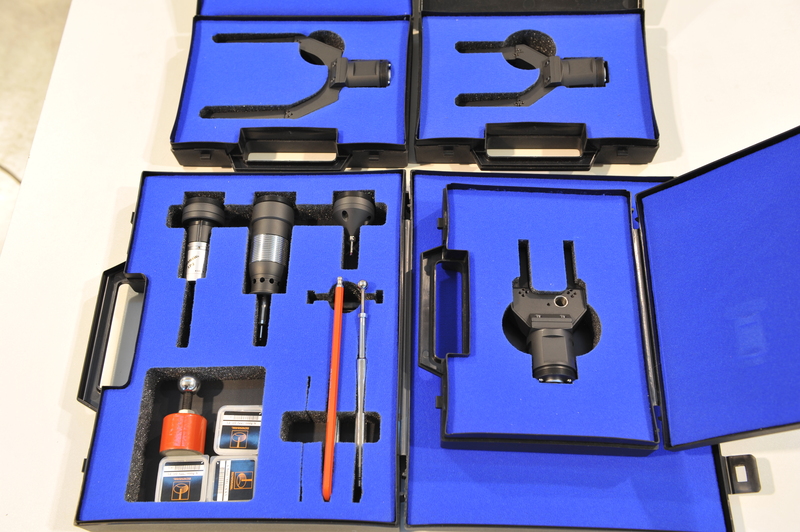 Thanks to the fully balanced structure and the unique 5 axes configuration, they are great flexible and accurate equipment for any 3D measure directly on the workshop, without the limits of the bridge-type CMM or the traditional set of manual gauges and instruments. 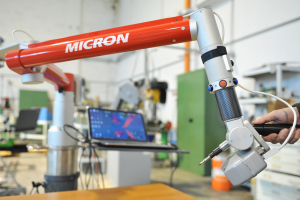 MICRON arms will be suitable for 3D quality inspection of any parts, whether on a simple granite or steel table, or directly in the machine tool, thanks to the portable tripod that can be positioned easily close to the machine.